I wish I can go to Korea this winter; skiing, feel the snow and capture white scenery so inspired by the Korean dramas. 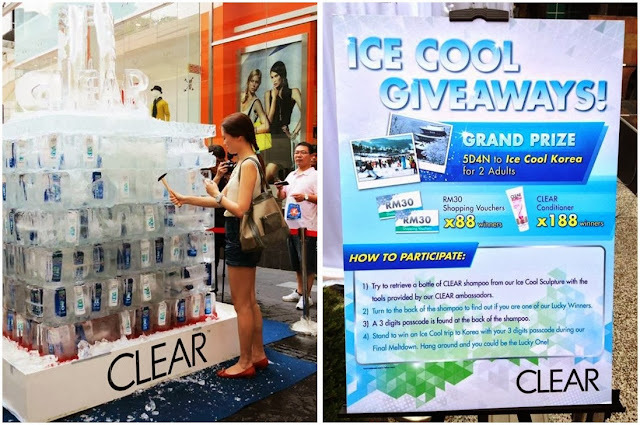 I was at Fahrenheit88, KL on 25th Aug morning trying my luck at the CLEAR Ice Cool Meltdown hopefully my dream come true that I can win a 5D4N Ice Cool Trip to Korea. 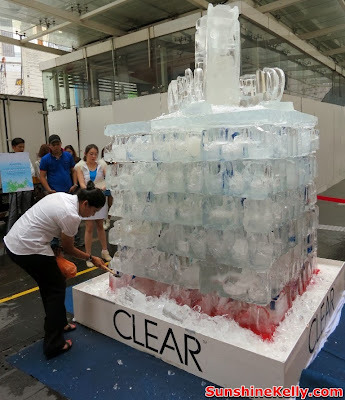 When I arrived at Fahrenheit88 around 11am, I saw the crowd already gathered and queuing up at the 9 footer Giant Ice Sculpture filled with bottles of CLEAR’s new Ice Cool Menthol anti-dandruff shampoo. I joined the queue when it comes to my turn, the CLEAR ambassador stamped some red ink on my hand. 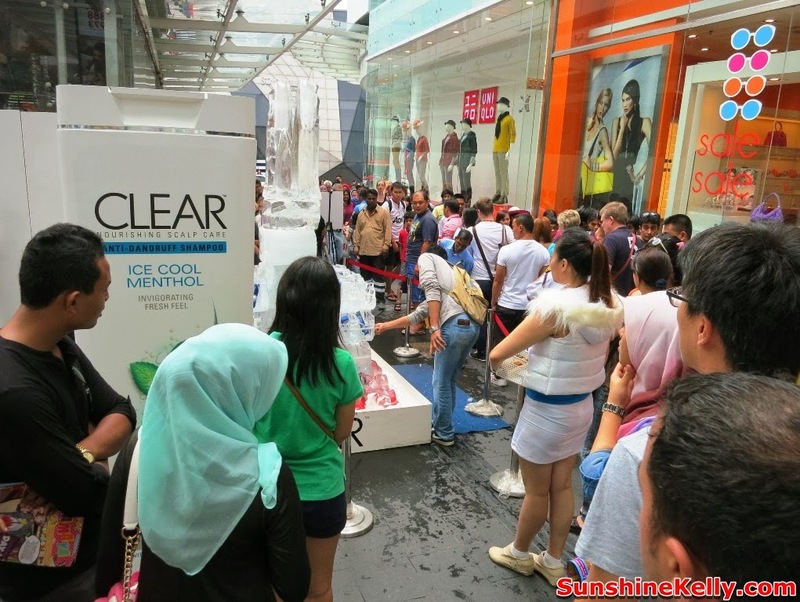 I guess this is to prevent people from going for twice or more, so that more people stand a chance to win. 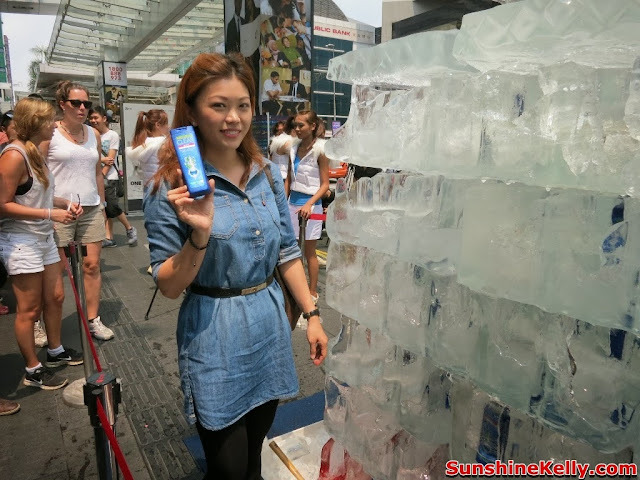 This was fun, I was given a mini hammer that I use to knock the ice and get my CLEAR Ice Cool Menthol anti-dandruff shampoo. Behind every bottle of shampoo there is 3-digit code. 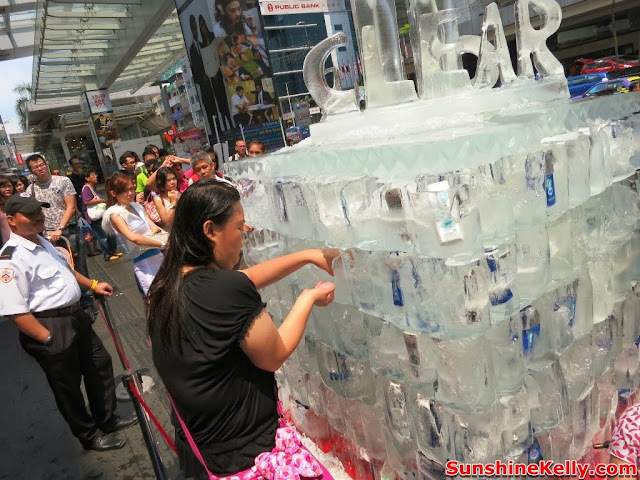 Then use the code to unlock the Treasure Box that placed in the center of the ice sculpture. 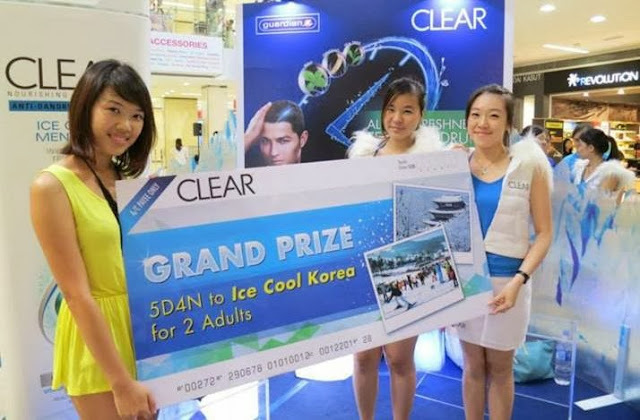 Beside the grand prize of 5D4N Ice Cool Trip to South Korea there were many cool rewards such as RM30 shopping vouchers and CLEAR Conditioners. That day I did not win any of them. 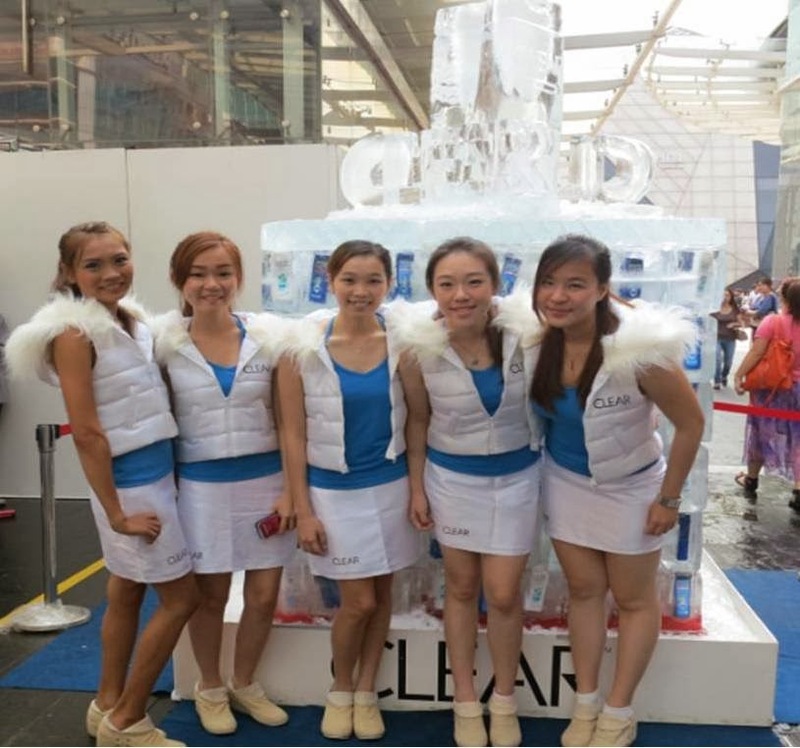 However, it was a good experience and I got a bottle of CLEAR Cool Sport Menthol anti-dandruff shampoo. By 3.30pm all the CLEAR anti-dandruff shampoo were all taken and a lady was the lucky winner of the Ice Cool Korea Trip. The CLEAR ice structure was set-up at Sungei Wang Plaza on Saturday, 24 August and Fahrenheit 88 on Sunday, 25 August. With the hot and humid weather here in Malaysia, the new CLEAR Ice Cool Menthol anti-dandruff shampoo keeps our scalp cooled and refreshed throughout the day. And dandruff is a common concern including myself. 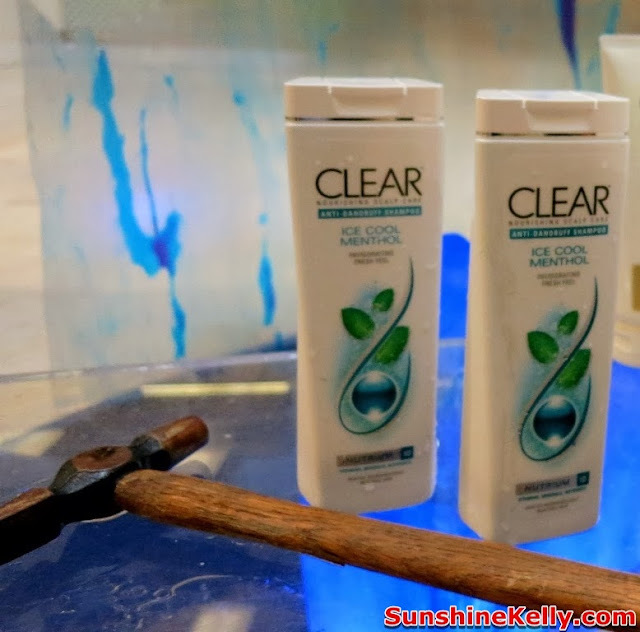 CLEAR revolutionary Nutrium 10 and partnership with International Academy of Dermatology (IACD) innovated a scalp care formula that treats the root cause of dandruff by nourishing the scalp and repairing it back to good health. Overall, it was a Ice Cool surprise for me and the event caught a lot of attention because there are many shoppers, tourists and pedestrians passing by. The prizes are cool too. 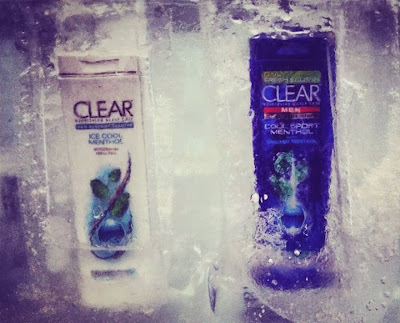 Plus I like the CLEAR Ice Cool Menthol shampoo cooling sensation and it helps to keep my hair dandruff free.